WEBER CO., Utah -- A great horned owl in Utah had quite the ride over the weekend after he was hit by a big rig. 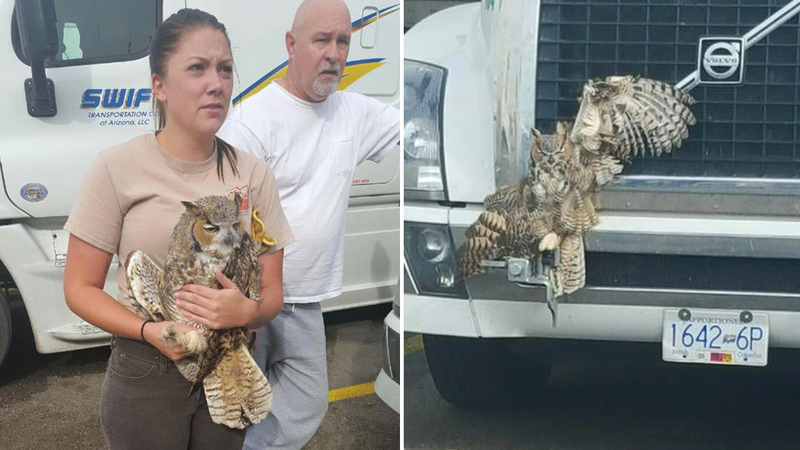 According to the Weber County, Utah, Sheriff's Office, a trucker hit the owl on I-15 overnight and drove with the owl in the vehicle's grill for several miles. That trucker said he did remember hitting the owl, but didn't think it would still be there. He only noticed it when he stopped for breakfast the next morning. Here's the amazing part - the owl was not only still alive. It had only suffered a broken wing and is expected to survive.